Mary Stein: Jodi, By the time I completed “Attachments,” I felt almost as though I were waking from a lucid dream. I’m wondering if you’d talk a little bit about what inspired your world-building in relationship to this story. Jodi Paloni: It’s funny that you mention the dream state, Mary. As you know, I wrote this on a wonderful little retreat at Wellspring House. On a damp misty morning about mid-week, I woke up frustrated in the face of more revision work, but felt daunted by the blank page. So off I went, with a copy of Amy Hempel’s The Collected Stories, to stretch my legs and read at a soggy picnic table by the water. When I’m stuck, I go to my old standbys for inspiration: Amy Hempel, Flannery O’Connor, Raymond Carver, Alice Munro, Lorrie Morre. Then there’s the Wallace Stevens quote, “Perhaps the truth depends upon a walk around the lake.” I lean on the premise of that line a lot. When I finally returned to my room, wet-through, I felt chilled. I changed into dry clothes, crawled back into bed and fell asleep. A morning nap! A luxury! I woke up with an image of a woman named Lorelei adopting a fat cat. That’s all I had when I opened my laptop. As I wrote, Joe popped in from out of nowhere. This was not a planned out story. I drafted the whole thing in one afternoon and into the evening and night, I revised it. I was quite pleased to have a draft I was fond of to show for my day of wandering and woolgathering. Often a walk gets me out of my busy head and into a more meditative space. That’s when my characters find me. I find I need to woolgather quite a bit in order to generate new work. Don’t you? MS: I agree. I love the rare moments of slowing down enough to become a conduit for a story and its characters. I actually hadn’t realized you wrote “Attachments” after having a dream, but that dream-like atmosphere definitely appears in the story. In fact, one of my favorite parts about this story is its sense of mystery and intrigue: There are Joe’s secretive phone calls, the strangeness of the boathouse mural, and Murray’s sudden death. In a way, the narrative seems to be shaped as much by plot events as it is by these intentional exclusions––almost as though the story emerges even more sharply through the negative space. Tell me a little bit what questions you wanted to leave with the reader. JP: Oh, I love that you brought up negative space. Philip Graham, one of my mentors at Vermont College, suggested I read Maps of the Imagination, The Writer as Cartographer by Peter Turchi. Before Google Earth, a map didn’t show every tiny detail, all the building and paths and trucks and sheep, etc… It was the space around the landmarks that enabled the traveler to see the marks that would lead the way. Philip and I had discussions on how to leave stuff off the page. I’m not always able to see what is not needed though, and my draft readers help me. I had a few ideas about whom Joe might be talking with on the phone, but the intrusion would have added an element that would have taken the story on a more circuitous route. I read Hempel when I feel the need to reign myself in on the tangents. She is the master of negative space. She was my guide for this one. MS: This story is perfect for r.kv.r.y, given its emphasis on writing with a theme of recovery. “Attachments” deftly weaves Lorelei’s past trauma with her present conflict, and culminates in a rather sad repetition of an age-old cycle for her. I’m wondering if you would talk about the idea of recovery in terms of this story a bit. JP: Well, here’s another quote, this time from Ms. O’Connor. “Anybody who has survived his childhood has enough information about life to last him the rest of his days.” I feel we spend most of our lives grappling with those events surrounding our loss of innocence. At least I do. There is something about Lorelei coming back to the place where it happened––facing Joe who was there, that they never really talked about it, all of which keeps the trauma alive and kicking––that seemed necessary. In the end, I wanted to tell a story where there was a bit of movement forward, as well as the potential for more movement ahead. That’s what life is, every day. Again, we start all over, and again, and again. Hopefully, we are lucky enough to find the right supports, whether fur or fowl or human, to stick with us as we bumble through it all. MS: On that note, I can’t help but to bring up the cat––Old Murray has as much presence as any of the human characters. In some ways, he seems to serve as a divining rod for the story’s thematic overtures. Tell me a little bit about the progression of his inclusion through the various drafts of your story. JP: I have to admit, when I tell people that this is a cat story and a love story, I worry what they will think. I have a cat, Mew, who used to look a lot like the character, Murray, only Mew is a she and since, I have cut out all of her dreadlocks and put her on a diet. She’s quite buff now, chasing moths, leaping and such. And I have a good friend, also a writer, who has an enormous cat name Murray. Fat cats are both comic and tragic, the makings of good story, yes? The Murray in the story is a morph of those two cats. So there’s that. But, I think you’re asking me to go a little deeper here. I can’t say that Murray’s role in leading the way, as it were, was deliberate. He became a very strong presence in my head as I crafted, as strong to me as Lorelei and Joe. He became a prop for Lorelei, her distraction from intimacy, but I had not seen that coming. I didn’t plan to kill him off, although I supposed he represents Chekov’s gun in that first graph. When Lorelei and Joe walked home and opened the door, he was dead. It was as much a shock to me as it was to her and I do not mean to sound trite, as if my characters lead me around by the nose. It’s a mystery, though, how that can happen some times. MS: What are you working on right now and how does this story fit in the greater body of your work, if at all? JP: I’ve just completed a collection of stories that takes place in the fictional town of Stark Run, Vermont. The stories are very much place-based, rural and rambling. This story did not make the cut, as it stands right now. The tone of this piece, the language of it, is very different than most of my work; it’s more minimalist. But we’ll see. Having it appear in print and thinking about it again has me questioning my decision to save it for another project later. MS: As a fan of your writing, of course I want to plug your work! So please tell us where we can find your blog and links to more of your stories. Mary Stein is the Assistant Editor of Conduit literary magazine and works as a teaching artist in Minneapolis. Her fiction has appeared in Caketrain, The Brooklyn Rail, Spartan Lit and Connotation Press. 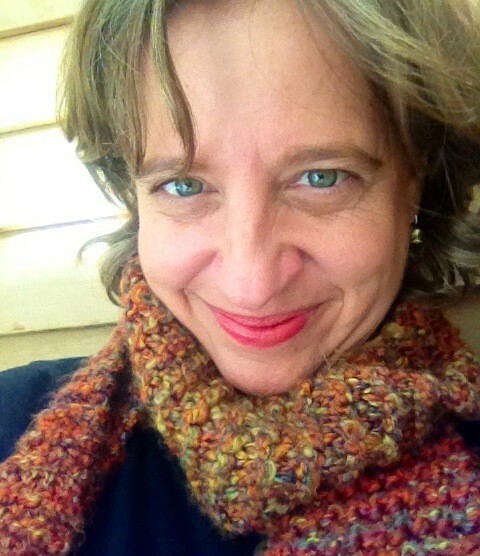 She received her MFA from Vermont College of Fine Arts and has been nominated for New Stories from the Midwest.